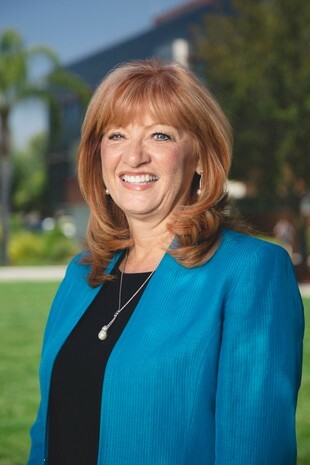 Biola University President Barry H. Corey announced on May 16, 2016 the appointment of Deborah L. Taylor to the position of Provost and Senior Vice President, effective immediately. Taylor assumed the interim role in the summer of 2015 and has served with distinction since. In March, President Corey formalized the Provost Discernment Advisory Council (PDAC), comprised of 13 diverse members of the community to explore the qualifications needed for this role over the coming years and their alignment with Taylor’s abilities. After several meetings and significant consideration by PDAC they reached a unanimous recommendation for President Corey to nominate Taylor for the role of Biola University Provost and Senior Vice President. Taylor previously served as the Associate Provost for Educational Effectiveness overseeing Biola’s WASC accreditation process. She started her service at Biola in 2001 as professor of education. For 14 years she has served as a member of the faculty at Biola. She received Biola research grants in 2005 and 2007 followed by the 2012 Fischer Award, the most prestigious award given annually to a faculty member in recognition of excellence in scholarship, performance or composition in an area of professional competence, and/or an innovation and effectiveness in teaching or mentoring students. She received her B.A. and M.A. from Biola University and her Ph.D. from Claremont Graduate University. An effective administrator, Taylor is viewed as qualified to meet the diverse array of challenges and opportunities that come with the top academic post at a nationally ranked Christianity university. Taylor will occupy the pivotal second ranking position at Biola University in her role as Provost and Senior Vice President. As Biola’s chief academic officer, Taylor will work closely with President Corey in envisioning and leading all academic programs as Biola continues to build and strengthen its global presence in Christian higher education. In addition, she will work with academic administrators, deans and faculty on day-to-day academic issues including faculty recruitment, promotion and tenure; new academic programming initiatives; and faculty development. She will also continue serving as a member of the President’s Administrative Council and its Executive Committee. Taylor, and her husband Phil have three adult sons, two granddaughters and a third grandchild on the way. Dr. Taylor, Congratulations!! Your leadership in these areas has been demonstrated. Your commitment to Christian higher education has permeated your career. You now are in a position to put all your work experience and passions together in your leadership as Provost and Senior Vice President. May God continue to use you in mighty ways! From the Azusa Pacific University Board ... congratulations, Dr. Taylor! I am thrilled to hear this news and know your leadership on behalf of my alma mater will continue to be deeply impactful. Every blessing as you serve His Kingdom in this tremendous "vineyard" that is Biola University!